Sea slugs have been part of New Zealand's marine life for millennia. Until recently few people knew of their existence. A few dead or near dead ones washed up along the Hauraki Gulf shoreline weren't noticed until several dogs died or became ill after eating them. 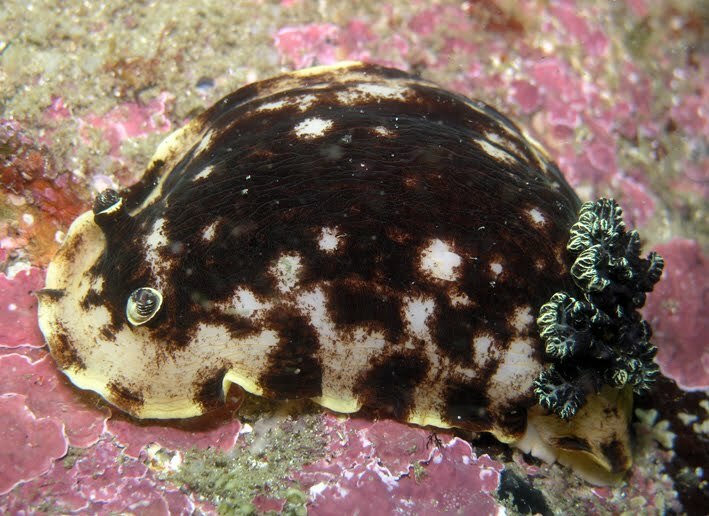 Sea slugs were suddenly up there with the sea's major predators like sharks and jellyfish. Tests showed the slugs along the tide line contained the toxin tetrodotoxin (TTX). Warning signs appeared and local councils asked for sightings to be reported. Yet the sea slug in question with the scientific name, Pleurobranchaea maculata, is not normally found washed up dead. It can be found under stones, on sub-tidal reefs where it feeds on sea anemones. What caused the sea slugs to die and wash up along the shore was never investigated and if there was a major problem with a water-borne toxin it was not discovered. Many species of sea slugs live a boom and bust life cycle. Some years they are present in huge numbers and then vanish for years. The reason for this increase and subsequent die-off is unknown. Overseas, various species of sea slugs have been associated with dog deaths on beaches. One sea slug, known as a sea hare (Aplysia sp. ), was reported in Australia to have been the culprit. Sea hares also appear in large numbers around the Hauraki Gulf. The last invasion was 10 years ago. No doubt a few dogs sniffed and tasted these but no reported problems were noted. Sea hares are usually only noticed if someone stands on one. The slug emits a harmless purple dye which stains the area around the animal. In years gone by, marine science students were encouraged to put their tongues on sea slugs found in rock pools and experienced a tingle from the toxins the animals contained. No one died from this tasting test, or even became mildly sick. But of course today this kind of test would be frowned upon. No doubt sea slugs will appear in large numbers again in the Hauraki Gulf and some will wash up dead. Hopefully someone will look at the reason for the slug deaths and whether the toxins in them occurred naturally.